In the morning, enjoy our silver zipline eco-adventure, designed specifically for those with limited time or on a budget. An air conditioned van will pick you up and transport you inside the jungles of Angkor Park. Course details are shown below and include many of the Gold Eco-Adventure Tour features. Bring Your Camera for Amazing Photos! At the conclusion of your thrilling morning, and after a Khmer meal, we’ll return you to your hotel. Then our partner will pick you up at 1PM. Bring your camera for a picturesque Tour (about 21 kilometers) around the beautiful Buddhist monastery complex just outside Siem Reap. We’ll return you to your hotel at about 3:30PM with a lifetime of memories to carry home. 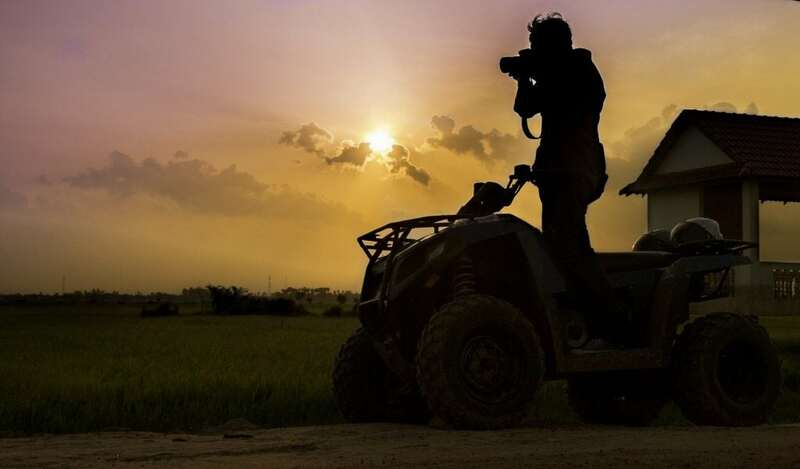 A driver’s license is required, however, exceptions can be made for people without driver’s license but with the experience of riding quad bikes. Quad bikes are automatic, no clutch or gear is needed. Two adults can ride on the same quad bike with a maximum weight of 130 Kgs. 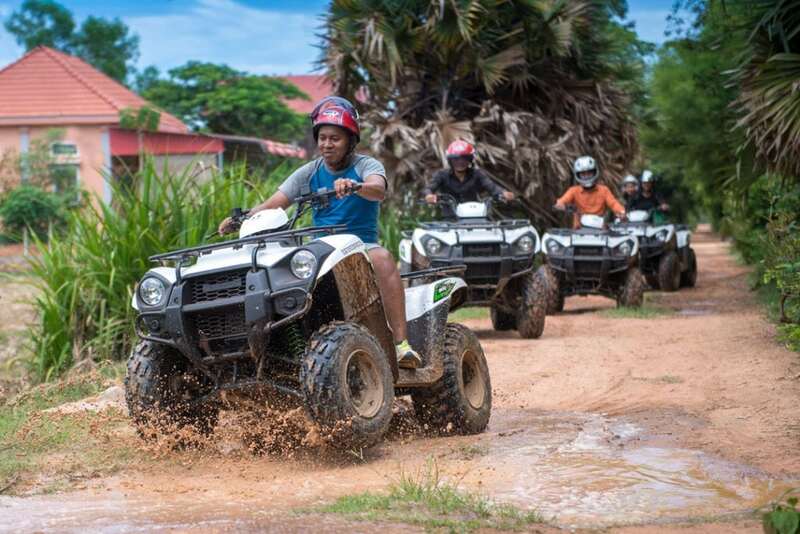 In this case, the driver must have experience of riding a quad bike or pass successfully a driving test with our instructors. The minimum age required is 14. Children younger are welcome to sit with their parents as passengers.